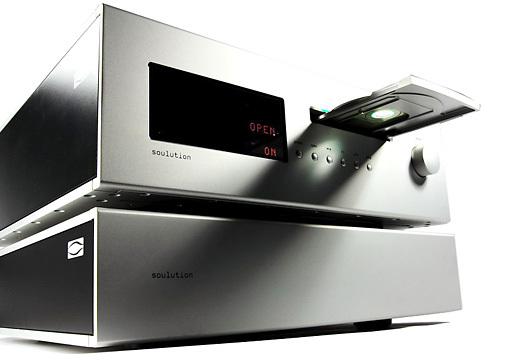 Soulution is an example of a company that based its success in audio business on solid engineering, “out-of-the-box thinking”, and swimming up the stream. Over last six years, as the company was founded in 2005, Cyrill Hammer Jr. and Roland Manz built for their brand a position of a serious competitor for biggest names in this business. What’s more their products quite often win this competition. In July I tested the 540 player (test HERE), the most recent addition to Soulution’s portfolio. It’s a member of the “less expensive” line of this manufacturer. There is a range called ‘700’ though, more expensive, that was introduced in 2005. It hasn’t changed much since the very beginning – only some minor enhancements, and some completely new devices like the 745 Player that replaced the older 740. It’s an extraordinary longevity, although not so uncommon in the high-end world. After all, if you pay a lot of money for you audio rig you expect it to be damn good not only today but also in ten years, don’t you? 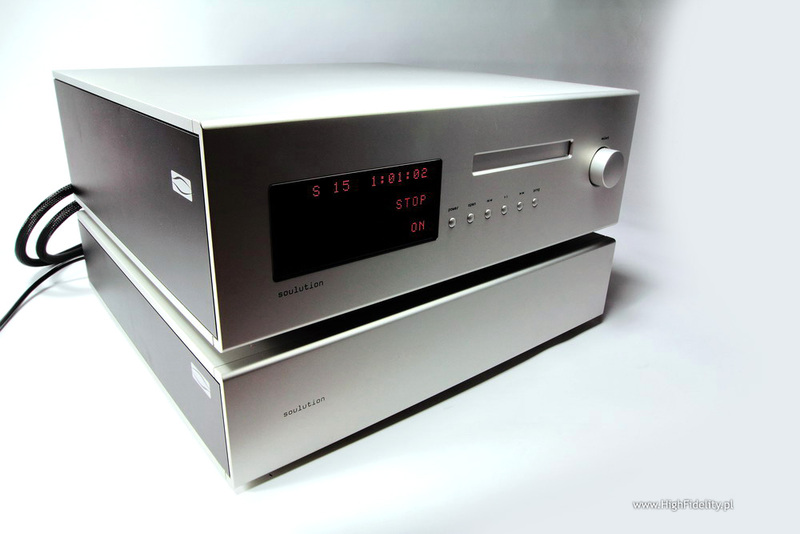 Intentionally or not, at first I was comparing the 540 Player with its predecessor, the two-box 745. Because despite many differences some basic elements of both designs are similar. Firstly, both are SACD Players. Secondly, they use the same Esoteric (TAEC VRDS-NEO) UMK-5 transport mechanism. Thirdly, its heart is an Edel S2 upsampling module using polynomial algorithm of the digital specialist, Anagram Technologies. And last but not least, the signal read from SACD is converted right away into 24 bit /384 kHz PCM signal. Additionally both devices may also work as D/A converters, although the newer 540 is additionally equipped with a USB port. Surely there are also differences between these two models, the most important being the fact that the 745 is a two-box design with a separate power supply module - 740U. 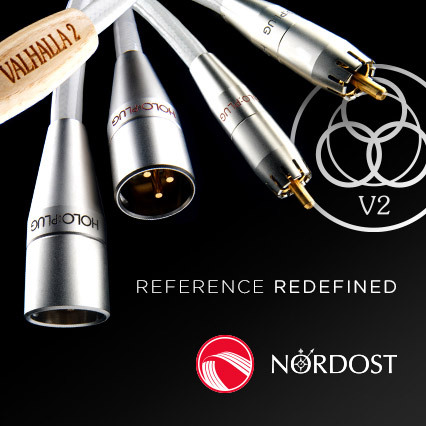 More differences can be found when looking at the parameters – the 745's noise level is an order of magnitude lower (0.002% vs 0.0002%), its output impedance is 5 times lower (10 Ω vs 2 Ω), its output stage is 5 times more effective (0.2 A vs 1 A) and the power consumption is slightly higher (50 W vs 60 W). My review system included Harbeth M40.1 Domestic loudspeakers, Ayon Audio Polaris III preamplifier and Soulution 710 power amp (you can find its review in the „Audio” magazine). Additionally I also used Leben CS300 [Custom Version] + Sennheiser HD800 as headphone system and Haliade Design Bridge (24/96) USB-S/PDIF converter that allowed me to use hi-res files from my laptop. I plugged the reviewed player to a Furutech FT-SWS ® wall socket, powered by a dedicated power line (Oyaide Tunami Nigo cable) with a HGP fuse. The rest of the system was plugged into the Acoustic Revive RTP-4eu, which was connected to a separate Furutech FT-SWS ® socket. Although the Soulution comes with a much better power cord than most devices do, I still chose to use the Acrolink Mexcel 7N-PC9300. According to manufacturer's recommendation both boxes were placed on separate shelves, plus the main unit stood on Acoustic Revive RAF-48. The manufacturer states that the 745 delivers its full performance right out of the box, yet just in case I left it in „repeat” mode for a couple of days first. Laurie Anderson, Homeland, Nonesuch Records, 524055-2, CD+DVD; review HERE . Art Pepper, “…the way it was!”, Contemporary Records/Mobile Fidelity, UDSACD 2034, SACD/CD; review HERE . Dead Can Dance, Into The Labyrinth, 4AD Warner Music Japan, WPCB-10076, SACD/CD; review HERE . Dead Can Dance, Spiritchaser, 4AD/Warner Music Japan, WPCB-10078, SACD/CD; review HERE . Brian Eno, Craft On A Milk Sea, Warp Records, WARPCDD207, 2 x 180 g LP + 2 x CD + 24/44,1 WAV; review HERE. Kankawa, Organist, T-TOC Records, UMVD-0001-0004, Ultimate Master Vinyl, 4 x 45 rpm 180 g LP + CD-RIIα + 24/192 WAV; review HERE. Mikołaj Bugajak, Strange Sounds and Inconceivable Deeds, Nowe Nagrania 001, 45 rpm LP+CD+WAV 24/44,1; review HERE. Japanese versions of the discs are available at CD Japan. Listening to the Soulution 745 SACD Player was an extraordinary experience for me. As always when listening to top players, I learned some things, verified some others, and broaden my perspective considering digital media and audio in general. As I will try to show you it is an extraordinary player, totally different from any other, although a bit similar in its sonic character to the three-box Jadis JD1 MkII+JS1 MkIII, but going even further up the „top-high-end” hill. It's not a perfect player – there is no such thing regardless the price level, but the balance of pros and cons definitely works in favor of the Soulution. It's easy to fall in love with this sound. I should add that as I had a chance to listen to the Soulution 540 Player before, I knew what to expect. It’s because Soulution is a very predictable, in the best meaning of this word, manufacturer and the 540 was created on the basis of the 745 design, with some simplifications in the power supply and output stages, so I could expect that the sound should be similar in character. To describe the sound of the 745 it is easier to compare it with great turntables. I'm not going to call it „analogue” sounding as this might mislead you. I'm just saying that it creates the sound in a similar way – there is no aggression in the sound, there is fabulous soundstage and amazing coherence. Just like listening to some great turntable, so with the Soulution you will never hear any annoying components of sound, no distortions that might be so irritating when listening to digital players. It's a bit mellow, relaxed sound. It also delivers incredible resolution, but it's a different resolution than I usually describe when reviewing digital sources. It's tonality is quite easy to identify: it is clearly warm, with saturated midrange, that is so „ripe” that it momentarily becomes even a little nasal, and a powerful, deep, very well differentiated bass. The latter is extremely impressive as very, very few other players can deliver something similar (among those I listened to there are only Jadis JD1 MkII+JS1 MkIII, Ancient Audio Lektor Grand SE and Lektor Air, plus digital streamer Linn Klimax DS, and to some extent SACD Soulution 540. Maybe also C.E.C.-a TL1N+DX1N. The 745 takes at least one more step up the high-end hill, adding to its sound something I also heard with the Harbeth M40.1 Domestic – something like a soft, „resilient” cushion placed under the whole presentation. High quality turntables offer similarly saturated sound, while many other, very precise, resolute digital players lack this special „something”, let’s call it a „soul”. And it is this great bass and warm, slightly rounded treble that are what defines the sound of this device. I already mentioned resolution. Also in this aspect the Soulution sounds more like turntables do – it's a part of the same parallel I began a few paragraphs earlier. The sound in its richness and differentiation is not based on precise attack, punch and huge number of details, but on very rich, well differentiated tonality. It is a profound difference defining (in my opinion) the difference between „analogue” and „digital” sound. This player proves (again – in my opinion) that „analogue” is not synonymous with playing vinyl record as it can be delivered by the best digital players as well – and by the 745 in particular. I'm not claiming that Soulution SOUNDS like turntable, but only that its resolution is similar to what I know from vinyl (rather than tape) playback. 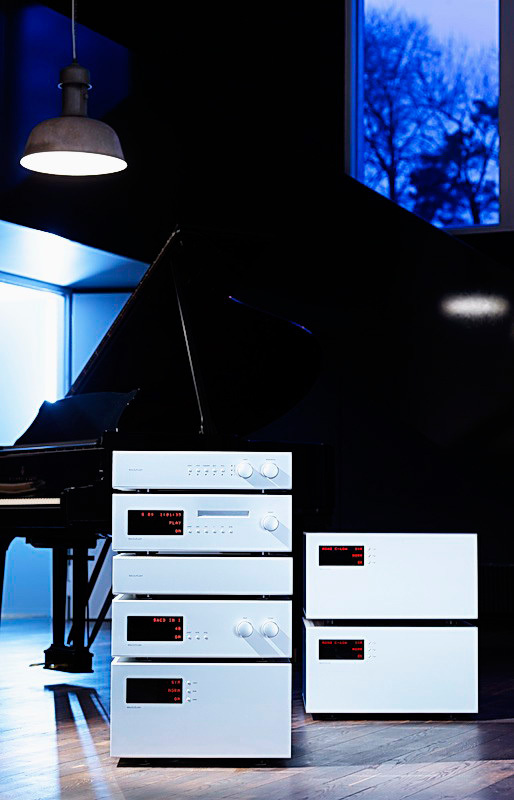 Because when it comes to dynamics, micro-dynamics in particular, the 745 sounds like a very good, but still digital player, i.e. it can't go as deep into the recording as turntable can, can't handle the shading, differentiating as well as turntable, which makes the latter sound almost „live-like”.